Don’t you just love June? This month, I am very excited to be taking part with 17 other LGBT historians/scholars at a roundtable put together by the Department of the Interior and the National Park Service to identify more queer sites for the National Register of Historic Sites. 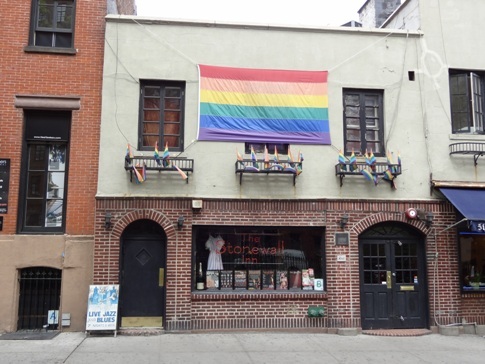 Last week, Interior Secretary Sally Jewell launched the initiative at the Stonewall Inn in New York City. Stay tuned here for more updates on this groundbreaking and, quite frankly, historic project. This month, I’m especially happy because my home state of Pennsylvania just got marriage rights and my partner of 22 years and I will finally be getting hitched on June 18. Marriage is so new here that Katie had to apply for the license as the groom and I’m the bride. No tux and gown for us, though – just quick and dirty at the office of the magisterial district judge (what we call our “justice of the peace” here in Pittsburgh), who, coincidentally, is openly gay. Speaking of marriage, thanks to writer Mala Kumar for tagging me for a blog chain, in which different lesbian writers talk about their process. Mala’s the author of the forthcoming novel “The Paths of Marriage,” which is due out this fall from Bedazzled Ink Books, about three generations of Indian women. I can’t wait to read it! I’m in the process of moving from Pittsburgh, Pa. to Charlotte, N.C., so my life is in chaos (to put it mildly) and I haven’t had any time to write. I’m looking forward to setting up my new home office when we hit the Tar Heel State and getting back to work on an unnamed novel that takes place both in the present and back in the 1950s, about two women who rendezvous every year at a women’s summer camp in upstate New York – think “Brokeback Mountain” on Lake George. 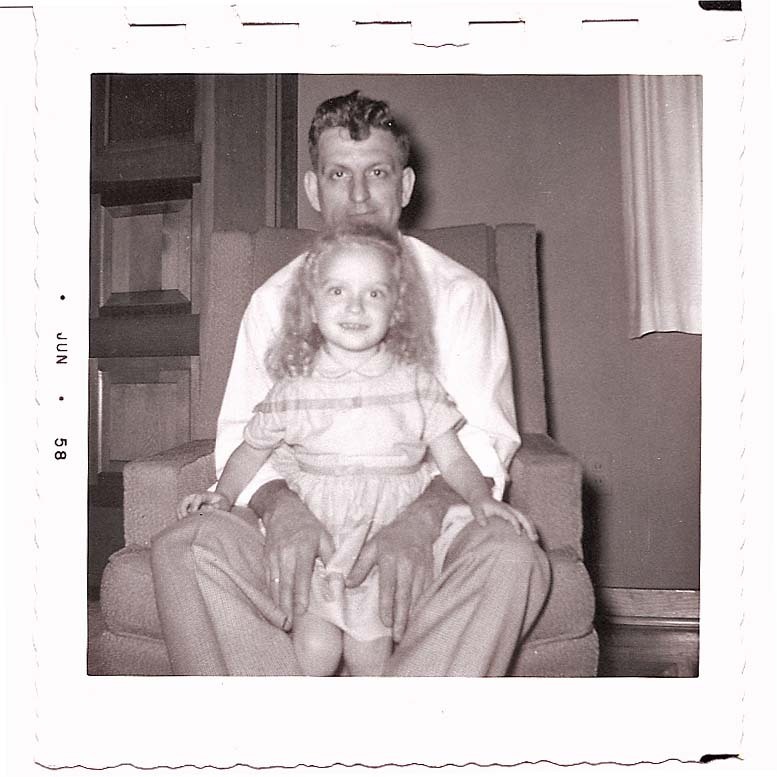 Other projects include a memoir about the year I took care of my parents, both of whom had dementia at the same time. I’m always interested in the interplay of past and present, and my writing reflects that. How does what happened in the past affect who we are today? I’m also really fascinated by physical places and strive to transform them into characters in my work. So in my novel, “Out of Time,” recently re-released as an e-book by Bywater Books, Manhattan isn’t just the setting – it becomes an integral part of the story-telling. Even in my memoir, the house where I grew up in the suburbs of Pittsburgh is a major character. To learn more about my fiction writing, please visit www.paulamartinac.com. I grew up with a profound interest in history, inherited from my dad – one of my earliest memories is going with him to salvage bricks from the neighborhood where he grew up, which was being bulldozed to build a new highway. Not long after that, I started writing fiction and have been at it for more than 50 years. Over the course of time, the two passions – history and writing – have co-mingled, so that now I can’t imagine writing fiction that doesn’t reflect on where people have come from. It’s not much of a process – I make myself sit down and I do it! It helps to have a writing group that keeps me honest. I sign up to share my work and then voilà – I have a built-in deadline. And as a person who’s made a living as a journalist, I’ve very, very good with deadlines. I’ve never been one for coffee-shop writing or writing “dates” with friends; I prefer the quiet of my home office. The writing progresses slowly in the beginning – 3 or 4 pages at a time, with lots of false starts – until I get really into it, and then it begins flowing more freely. And now, up next, I would like to introduce you to two fantastic novelists – both mystery writers, a favorite genre of mine. I had the pleasure of spending time with Minnesotans Jessie Chandler and Ellen Hart at the Camp Rehoboth Women’s FEST in April, and I am thrilled to be able to showcase them here. They’ll be giving their answers to the same questions next week on their social media sites, so stay tuned! 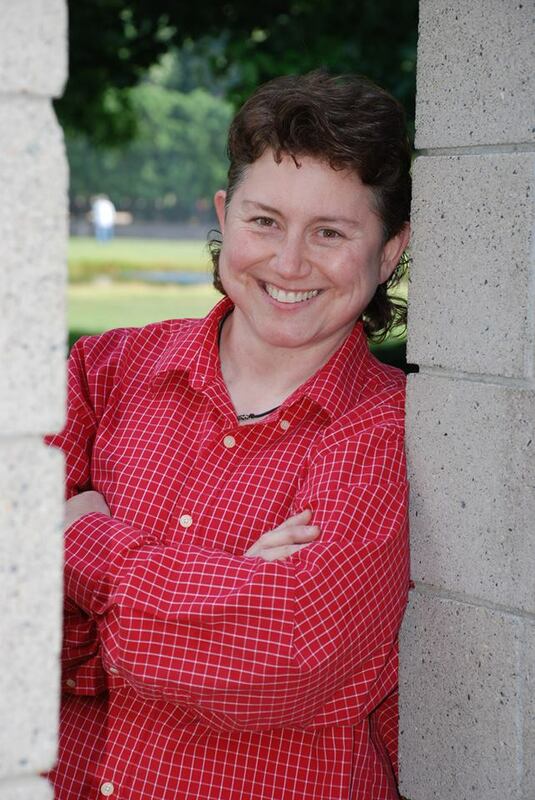 JESSIE CHANDLER is the award-winning author of the Shay O’Hanlon Caper series. She lives in Minneapolis, MN with her partner and two mutts, Fozzy Bear and Ollie. In the fall and winter, Jessie writes like her pants are on fire, and spends her summers selling assorted trinkets to unsuspecting conference and festival goers. The first book in Jessie’s series, “Bingo Barge Murder,” won the Golden Crown Literary Society’s Ann Bannon Popular Choice Award. Her second novel, “Hide and Snake Murder,” won an Independent Publisher Book Award (IPPY) and a Golden Crown Mystery/Thriller Goldie Award. Visit Jessie online at jessiechandler.com or at her blog, mysteriouslymurderousmusings.wordpress.com. ELLEN HART is the author of thirty-one crime novels in two different series. She is a five-time winner of the Lambda Literary Award for Best Lesbian Mystery, a three-time winner of the Minnesota Book Award for Best Popular Fiction, a three-time winner of the Golden Crown Literary Award in several categories, a recipient of the Alice B Medal, and was made an official GLBT Literary Saint at the Saints & Sinners Literary Festival in New Orleans in 2005. In 2010, Ellen received the GCLS Trailblazer Award for lifetime achievement in the field of lesbian literature. 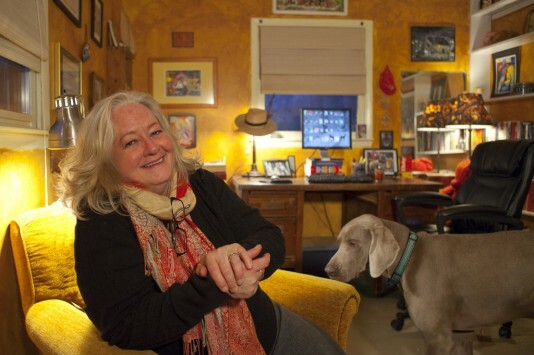 For the past seventeen years, Ellen has taught “An Introduction to Writing the Modern Mystery” through the The Loft Literary Center, the largest independent writing community in the nation. Ellen’s newest Jane Lawless mystery, “Taken by the Wind,” was released by St. Martin’s/Minotaur in October, 2013. “The Old Deep and Dark,” the 22nd in the series, will be released in the fall of 2014. Ellen lives in the Twin Cities with her partner of 36 years. Visit her online at http://www.ellenhart.com. 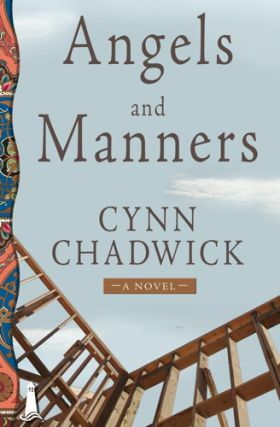 My guest this week is Cynn Chadwick, whose new novel Angels and Manners is about two women with nothing in common but their financial situation and Section 8 housing. Working class mum Carrie Angel is busting a gut to finish her carpentry certification so she can build a home for herself and her two teenaged sons. Middle-class Jen Manners has divorced, forcing her and her resentful daughter from their comfortable, suburban lifestyle into subsidized housing. Jen’s decade-old Lit degree and lack of work history send her into a system she thought reserved for a different class of woman than herself. A Bywater Books author and digital publisher, Cynn was born and raised in New Jersey but has lived in the South for over 20 years. She’s best known for her Cat Rising series, which have all made appearances in the short lists of the Lambda Literary Awards. A claim to fame is that a book of hers was rejected 181 times (but she’s not telling which one it is). At the end of this post you can read the first paragraph of Angels and Manners and enter a drawing to win an e-book copy by leaving a comment about why you’d like one. And now … he-e-ere’s Cynn! If you were a book, what would it be and why? Pippi Long Stocking… She probably captures my essence – still, 50-odd years later. What made you write your last book? I pretty much wrote Cutting Loose like Stevie Wonder at the keyboard, eyes closed and taking dictation. Why would a reader love your book? I think readers want to cheer for characters, I like to think I make cheer-able characters. When did you decide to be a writer? When I was four. What’s your most humiliating moment as a writer? I showed up for a reading in Tampa and only one person came… the bookstore owner, the “audience of one” and I drank wine and chatted, so it wasn’t horrible… but… yes, humiliating. When, where and how do you write? My home office, on a computer, when the story calls. What writers do you admire most? All the “Southerns”: Faulkner, Welty, O’Connor, Smith, Ehle; my “boys”: Russo, King, Carver, TC Boyle, Gaiman; of late, Kate Morton with The Forgotten Garden, as well as Kate Atkinson, Gillian Flynn, and Tana French. Did you learn anything useful when you studied writing? No….yes. From my mentor, the author Sarah Schulman who read the first draft of Cat Rising and told me that only 50 of my 250 pages were viable and if I didn’t fix that: “Your Novel Will FAIL” (she was right) and ”Simplicity equals Elegance” (she was right). What are you working on now? I have three projects: “Cutting Loose” #4 in the Cat Rising Series will be released this coming spring 2013 by Napping Porch Press. ”Then Came Jake” should be coming out in 2014. I am currently working on a collection of short stories and essays called “Where I Live, Folks Know How to Act Right,” which will probably be an ebook exclusive, also in 2014. Carrie stopped at the threshold to the Mediation Center. Standing on the far side of the room with his back to her was Dill, her ex-husband, looking through a magazine. She could see the pages flipping between his outstretched hands. He was slouched; his head tilted into his lean. She had seen the same pose in their son Casper when he was lost in thought. Dill’s hair curled over his collar and was much longer than when she had met him—a lifetime ago—with his Air Force buzz cut. He had gone a little paunchy around the middle, love handles easing over his jeans. She would recognize that mannered posture anywhere. Seeing him like this—unawares—conjured the image of that boy she had met one dismal night in a musty tavern where she was tending bar.